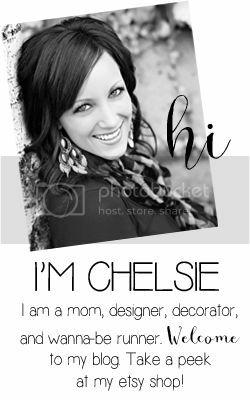 CS Cards: New Invitation Designs! I am so excited about these new designs and will be adding more and more to my shop! 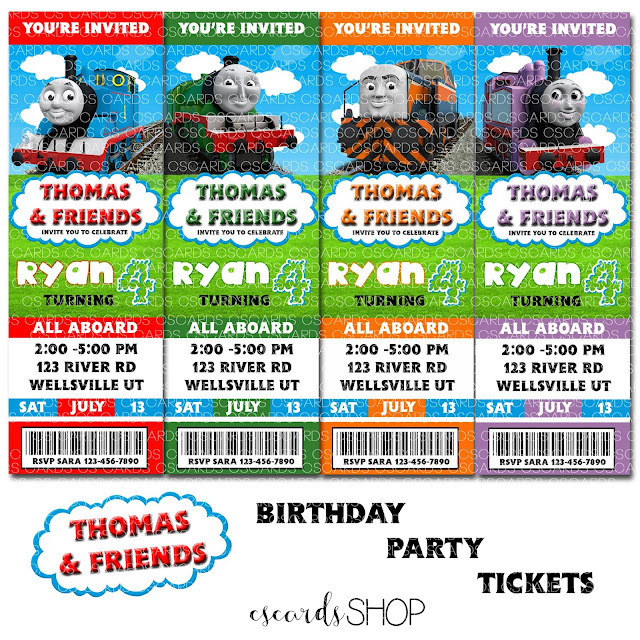 Right now I have Thomas the Train "ticket" style invitations. You can get all Thomas, or you can get all 4 characters. 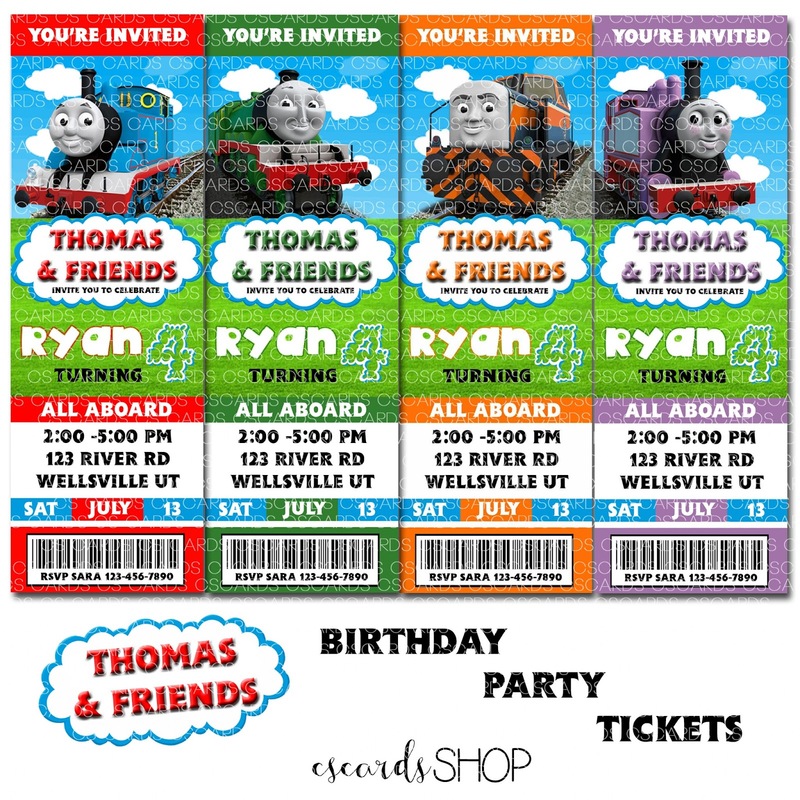 I will slowly be adding other characters in this same ticket style that will be fun for any birthday party! Keep checking back for new items and updates!